NEA officers – no official identification, no co-operation? 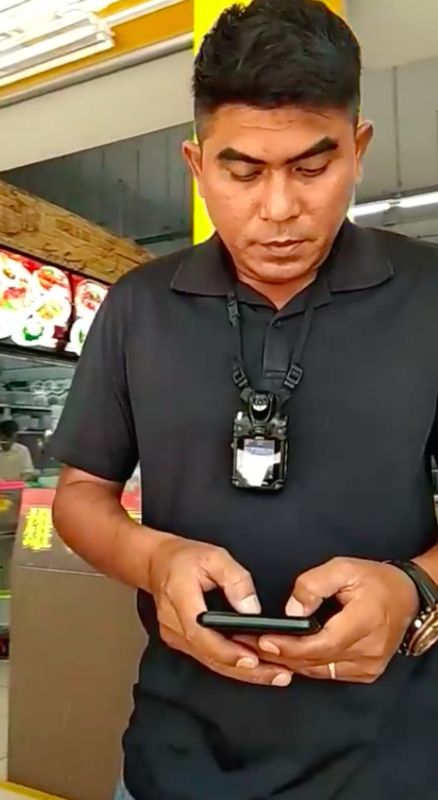 One citizen took to Facebook with a video of two alleged National Environment Agency (NEA) officers who did not produce their official identification passes, but requested identification from him. While it is unclear as to whether they failed to bring their official passes, or simply refused to produce them, the man in question refused to co-operate with these ‘officers’ because of their lack of official identification. Supposedly, NEA officers on the ground are paired with a security officer, all who travel in plain-clothes. In order to ask for the particulars of someone committing a offence, they will show their official NEA pass and identification. Should the committing the offence decline to give the NEA officer their identification card (IC), the security officer will issue their warrant card, identifying that they have the authority to take someone’s particulars down. "NEA OFFICERS" NO BRING ID. NO ID = NO NEED COOPERATE? In the video shared, the alleged NEA officers were a man and a woman, with the man wearing a device resembling a portable camera around his neck. It is unclear from the video if the officers did not have a pass or if they refused to show their pass, but other reports on the incident allege that the officers insist that they cannot show their identification passes. Netizens who comment on the video expressly state that they would not co-operate with ‘officers’ without official identification. Their view also comes after recent telephone scams where victims are called and summoned to court by someone alleging to be the police.